From Nerid-sama (lost the e-mail addy). Featuring original characters from one of her friends' fanfics. 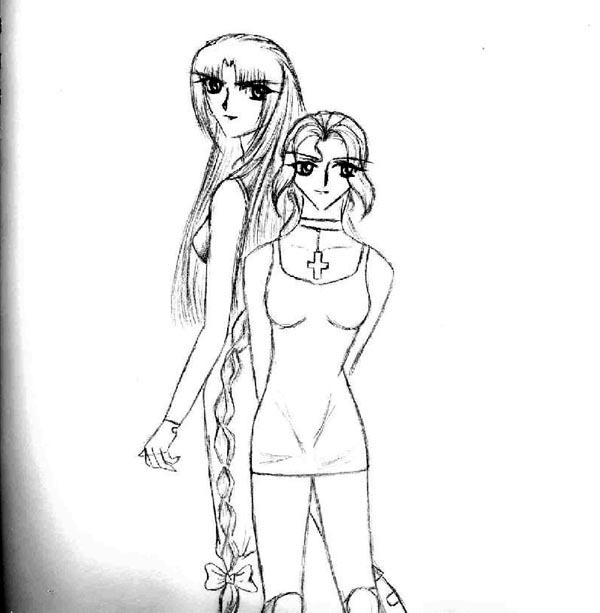 The pictured characters are her avatar, Kourin (tall) and mine, Eisu (in front).